This gas space heater from Advanced Distributor Products has helped reduce humidity in the greenhouse, keeping moisture in a set limit. The Growers Exchange had been a family farm in Charles City County, VA, since 1987. We began by selling wholesale to local independent garden centers. As the industry has changed over the years, so have we by becoming an online retailer of herb plants. In recent years, we have found it more difficult to fulfill spring orders from the farm as we were set up. Faced with the decision to move or close up, we decided to move and expand our production capabilities. The move to Sandston, VA, part of a more developed county, has made a world of difference in our company performance. Labor was a primary focus for every part of our expansion. Our whole new building was designed so just a few of us could run it efficiently, and thanks to the technology we added, there’s little physical labor involved anymore. In addition, we’ve also found it easy to train our workforce on how to use the new equipment. 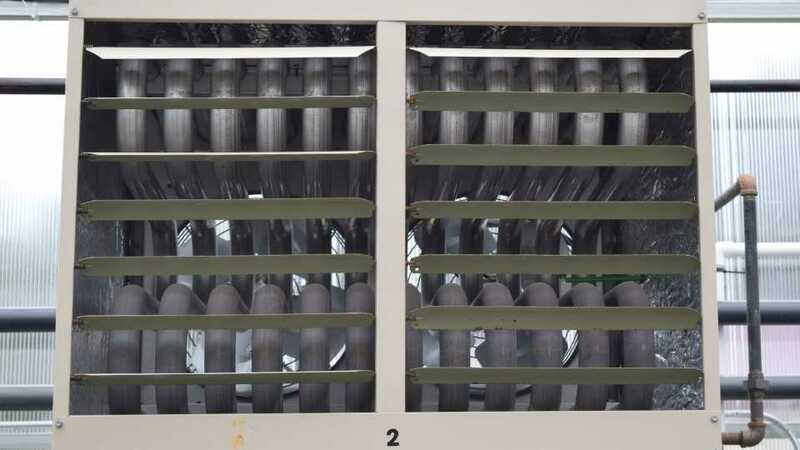 We added vertical air flow fans, which have eliminated fungus issues in foliage during wet periods. Our old horizontal air flow fans were not effective in reducing humidity in the plant canopy. The first summer here in our new facility has been excessively hot and humid, and we feel the vertical fans are maintaining air movement in the canopy, resulting in clean, fungus-free foliage. Each half bay has one fan centered, and we also aim our Dramm Autofog into the fan, which helps carry mist around. We are using an AgriNomix soil mixer and adding RootshieldPlus and Verdanta EcoVita fertilizer to the mix. Both have improved crop quality and reduced crop loss to fungus, and have also helped us eliminate manual chemical applications. RootshieldPlus has made growing challenging plants like lavender easy, as there is no loss to root rot during wet periods. The EcoVita helps produce a full and uniform crop. Best of all, the soil mixer gives us a sense of relief in knowing it’s done consistently and uniformly. Over a month, we can save 15 hours on labor by incorporating fungicides. Eliminating bagged soil has completely changed our work schedule by reducing most labor involved in loading soil. There are also no more empty bags and pallets to dispose of. Our production line is more automated than it used to be, with guidance from FlowVision, who came in and showed us areas where we could improve. Filled flats are dibbled, then moved to planting and tagging stations. The planted flats pass through a water tower before being transferred to trolley carts and taken to the greenhouse. Our old system was organized chaos, and cannot compare to the efficient flat filling/planting line. It’s also easy to train our temporary workers how to work on the station. All of these changes have helped us become more efficient, while filling orders quickly. 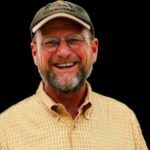 Briscoe White is Head Grower and Co-owner of The Growers Exchange. See all author stories here.